Wooden creations are now catching the public's imagination once again and the creativity in the pieces below are pushing the boundaries like never seen before. Along with the fact that wood is carbon neutral and can be molded into any desired shape, enthusiasts are making out-of-the-box creations that would take months to create. 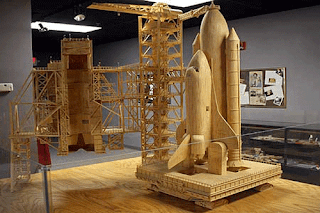 Here are 9 Awesome Replicas Made Of Wood, Hope you like it. The 55-year-old from Iowa has also built an out-of-this-world replica of NASA’s space shuttle Challenger. 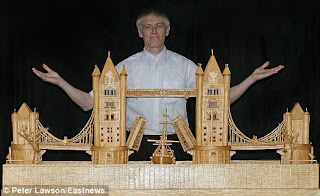 Michael Arndt is a man of matchsticks. 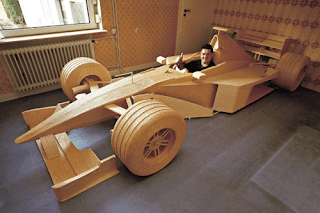 Over the course of six years, using 956,000 matchsticks, 1686 tubes of glue, and at least three different varieties of mustache, he built a full-scale replica of a McLaren 4/14 F1 car, at a cost of around 6000 Euros. 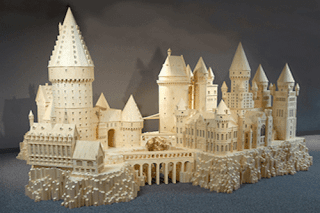 Artist Patrick Acton used over 600,000 matchsticks to recreate Harry Potter’s Hogwarts School of Witchcraft. 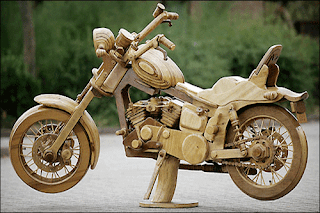 Motorbike nut Colin Webb is swan to be wild after building a full size Harley Davidson - from bits of recycled plywood. The chopper, which took 900 hours and cost less than £100 ($200), faithfully recreates the real-life Harley made famous by Dennis Hopper in the classic 60s movie Easy Rider. 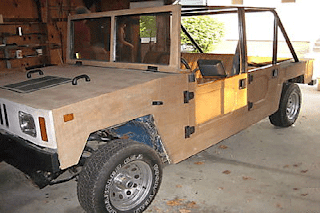 It's built on 90's-era Chevy S10 chassis and uses all the finest in plywood veneer's to attain that popular Hummer look.